You enter the gym and you see that most of the subjects who are training strength, almost all with the objective of gaining muscle mass (hypertrophy), work the concentric phase in the different exercises, in addition to the eccentric phase, slowly, concentrating the movement because according to them that “congests” more muscle and feel that they work more and it will bring more benefits. The effectiveness of a strength training program depends on the application of adequate training loads, which is related to the proper management of training variables such as intensity, volume and frequency, among others. The manipulation of the acute variables of strength training (load, number of series and repetitions, type of exercise and order , duration of breaks, etc.) shapes the stimulus of the exercise and determines the magnitude, the type of physiological responses and the adaptations as a consequence of said training. 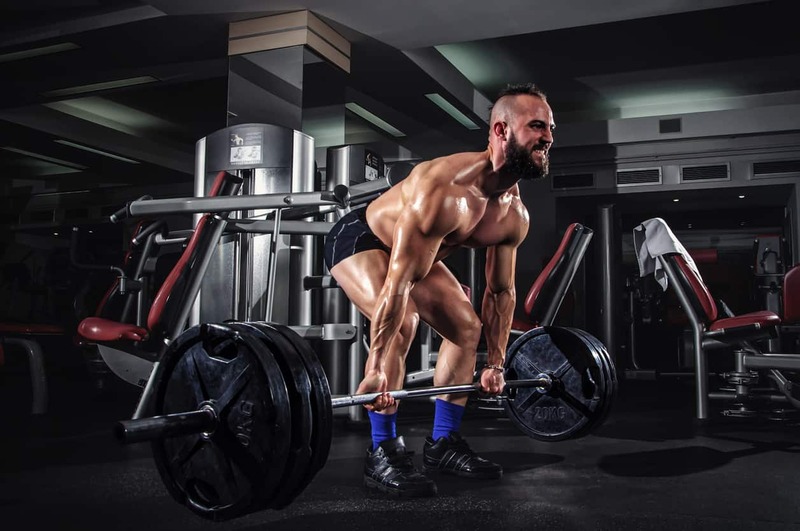 It is well known that one of the mechanisms responsible for the improvement of strength is the increase of the cross section of the muscle (hypertrophy), but the degree of improvement of strength is not explained exclusively by the increase in muscle size. The expression of the capacities of force is also determined by the neural factors . It is considered that the improvement of the force by the neural activitydepends on the increase of the nervous activation, the optimal synchronization of motor units and the joint activation of different muscle groups. In turn, we must bear in mind that the training effect occurs mainly in the exercise with which it is trained and the speed at which it is trained (specificity). When this load is close to the 1RM (maximum repetition), it is obvious that either I lift it at the maximum intentional speed or I simply can not lift it. But this intention to lift at the maximum possible speed we must apply it whatever our burden if we want to obtain greater benefits. A recent study has compared the effect on strength gains of two bench press exercise strength training programs that only differed in concentric speed : one group performed the concentric phase of exercise at intentional maximum speed versus another group that it was performed at half the maximum speed (intentional minor speed), the speed of the repetitions being controlled by the use of a linear speed transducer. Both groups improved the performance of the pre-post-training strength, but the group that performed the concentric phase at maximum intentional speed had significantly higher gains in all the variables analyzed: strength of one repetition maximum (1RM) (18.2% vs. 9.7%) and speed developed with all the loads (20.8% vs 10.0%), both light (below 60% of the 1RM) (11.5% versus 4.5%) and heavy (above 60%) % of 1RM) (36.2% vs. 17.3%). This same protocol has been used with the full squatexercise in another recent study , with similar results of greater strength gains , velocity developed with any load and vertical jump (CMJ) in the groups that perform the concentric phase of the exercise at maximum speed intentional. In turn, a systematic review and meta-analysis(highest degree of evidence) published this year 2017 has reported that with rapid strength training(concentric phase at maximum intentional speed) performed at moderate intensities between 60% and 79% of the maximum repetition (intensity very typical of training oriented to hypertrophy) greater strength gains are obtained than with strength training performed at moderate and slow speeds. Undoubtedly, the speed of movement can be considered a fundamental component of the intensity of strength training, since for a given percentage of the 1RM, the speed at which loads rise determines to a large extent the resulting training effect and, undoubtedly, strength gains can be maximized when repetitions are performed at a maximum intentional concentric speed . The fast fibers (type II) are much more effective than slow (type I) in the production of power, being the peak power developed by fast fibers four times greater than that of the slow and still the ability to hypertrophy of fast fibers much greater than that of slow fibers. That is, in your hypertrophy training you usually work with submaximal loads(typical of 8 to 12 repetitions per series) and slowly, performed with a speed that is associated with a greater load, it is clear to you that you are not taking advantage of it to those burdens and that you are not going to get bigger improvements, but that you are limiting your progress. Another very typical way would be to make the eccentric phase a bit slower , but it is advisable to perform this phase simply in a controlled manner, since prolonging the eccentric phase is not going to have more effect on the hypertrophy, and it will cause more stiffness and a worse and slower recovery in the face of your next training. Next story Where do students live in their first year at uni?